The 2013 Lexus LS is the new luxury sedan that is the masterpiece of superior craftsmanship and offers bold signature Lexus design. The exterior is stylish and the interior is beautiful. The safety features are at its best. The engine is robust and fuel efficient and is capable of giving powerful performance. Let’s have a look at some of its spectacular features. It comes in the following assorted trims. It exhibits a stylish exterior. The inverted trapezoidal upper grille and the optional three projectors LED headlamp unit makes it look more aggressive. 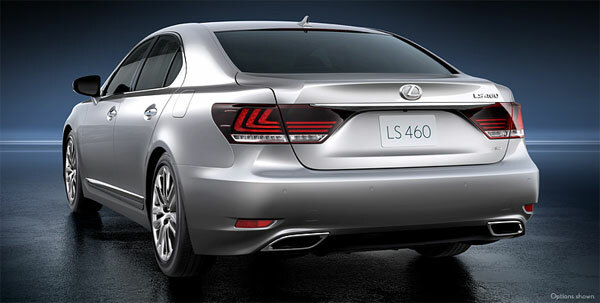 LS 460 F SPORT however, features a sport tuned air suspension and 19” forged wheels that give it a sportier look. An elegant front fascia with three-dimensional mesh grille, black grille surround and round fog lamps are its best exterior features. 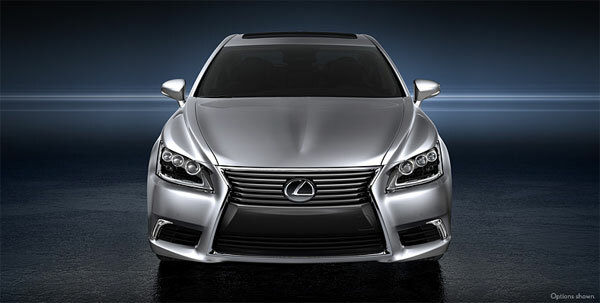 The LS F SPORT however, comes in six bold exterior colors. The interior is comfortable and luxurious. It is equipped with power rear seats with Climate Concierge and Ottoman Seating Package with Shiatsu. The dashboard features two separate zones i-e an upper Display Zone, with 12.3-inch, LCD multi-display screen, and a lower Operation Zone, which gives access to the the second generation Remote Touch Interface You can choose the interior from 5 color schemes i-e Ivory, Light Gray, Black, Black and Saddle Tan, and Topaz Brown. Wood trims can be also be chosen from Walnut, Shimamoku Espresso, Matte Brown Bird’s Eye Maple and LS 600h L feature the spectacular Bamboo wood trim. The LS 460 F SPORT however, features a leather-wrapped steering wheel with paddle shifters and an aluminum trim with a black Alcantara headliner. The cabin is spacious and sound insulation is great. The Lexus ClimateConcierge regulates the temperature inside the car. The LS600hL is equipped with a a heated steering wheel , windshield de-icer, headlamp washers and Positive Temperature Coefficient heating elements for warming the front cabin area rapidly after vehicle start-up. The robust engine can give outstanding performance with great power output. The new standard Drive Mode Select let you to choose from 3 distinct drive settings i-e Eco, Normal and Sport. The Torsen Limited Slip center Differential and AWD system give you superb control over the car. 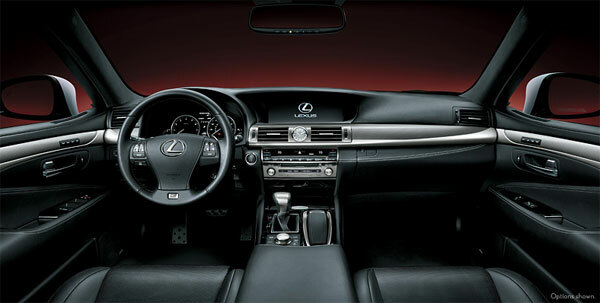 So, get ready to cruise in the most luxurious 2013 Lexus LS and experience the power of driving.